Bright colors in the summer are such a playful expression of fun and lively personalities. 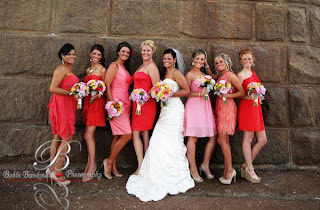 Danielle and Michael’s wedding was full of both! 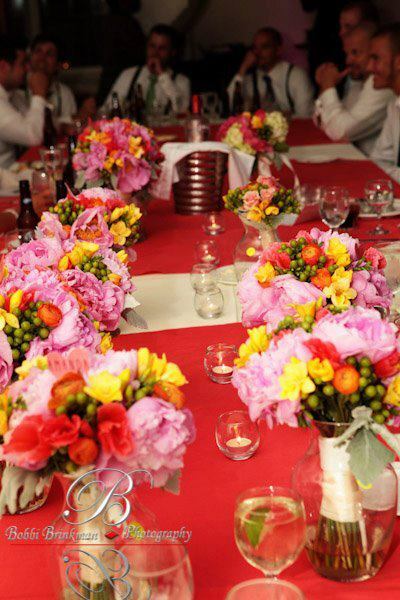 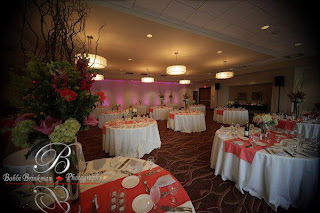 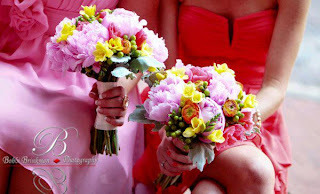 We enjoyed designing the array of corals, greens, pinks, and oranges for this whole wedding. 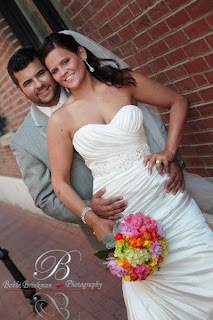 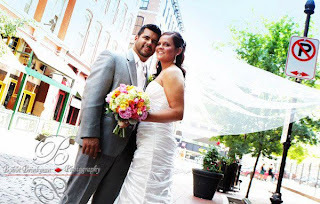 Enjoy these gorgeous shots by Bobbi Brinkman Photogrpahy! 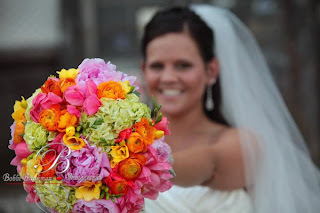 The bridal bouquet was a blast of brightness using lots of textures and shades in the same color family. The men’s boutonnieres were a few small elements to mimic the details of the bouquets, but were not large and remained masculine. The reception was full of the same bright colors from the ceremony. Our happiest wishes for the bride and groom and their families. 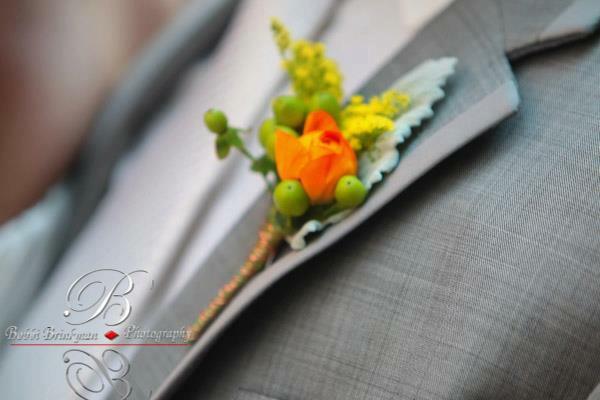 It was our sincere honor to be a part of your day!